Teacher's Take-Out: Lessons From the Heart Freebie Pack! 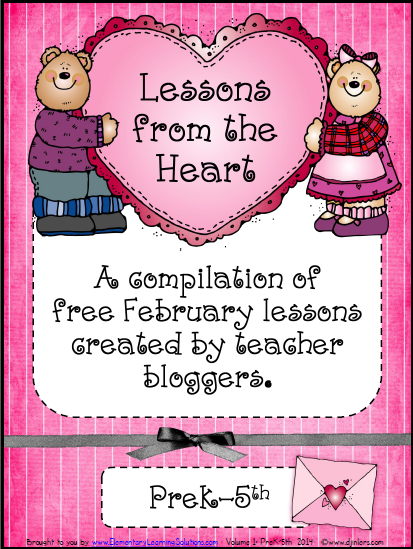 Lessons From the Heart Freebie Pack! I am so excited to share with you a PDF pack filled with Lessons From the Heart! There are 16 blogger friends that came together to share with you their February Freebies! This pack has a range of activities from PreK-5th Grade. There are more than just Valentine freebies in this pack too. Click the picture to download Lessons From the Heart!